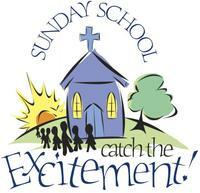 We have one of the best Sunday School programs around. Our teachers are anointed and are commited to doing the will of the Lord. There is a class for all ages and you will not leave the same. Come and worship with us this Sunday morning. Teaching is the cornerstone of evangelism. In fact, it is basic in any program to win souls because one must first have a knowledge of Christ before he can believe upon Him, the commission of Christ was for the church to go and make disciples through teaching as well as through preaching. A major portion of the ministry of Christ was given to teaching-whether by the well at Sychar to a profligate woman, to Nicodemus at a night appointment, or to the disciples on a mountianside. Jesus used the method of teaching effectively insomuch that he was accorded the title of Master or Teacher. The realization that teaching is an effective method of evangelism was the main reason for the early establishment of Sunday schools in the Church of God. From the outset, the Holiness Church emphasized the phase of evangelism and Sunday Schools in its program. At no time in the history of the movement has the value of Sunday school been overlooked, for at the very first the congregation organized these schools along with the churches themselves.